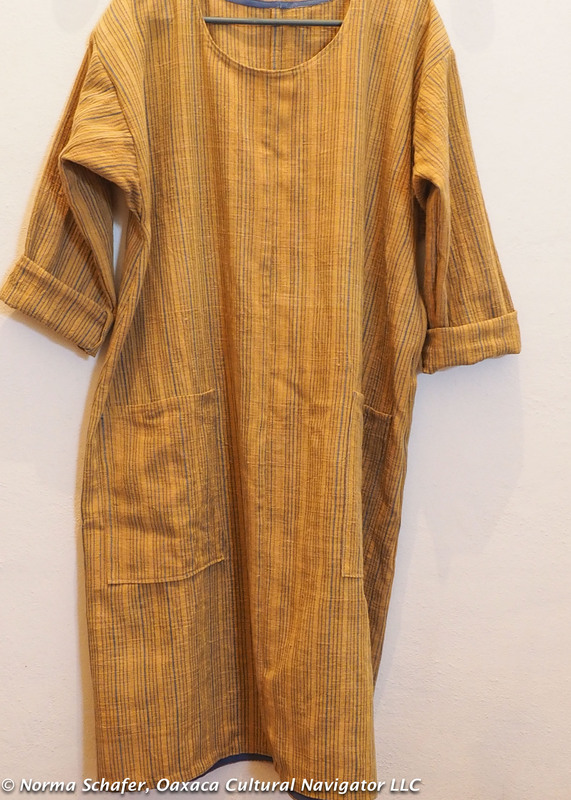 This entry was posted in Cultural Commentary, Oaxaca Mexico art and culture, Textiles, Tapestries & Weaving, Travel & Tourism and tagged cotton, coyuchi, dress design, fabric, indigo, Khadi Oaxaca, Mexico, Oaxaca, pericone, Sewing, textiles, wild marigold, yardage. Bookmark the permalink. 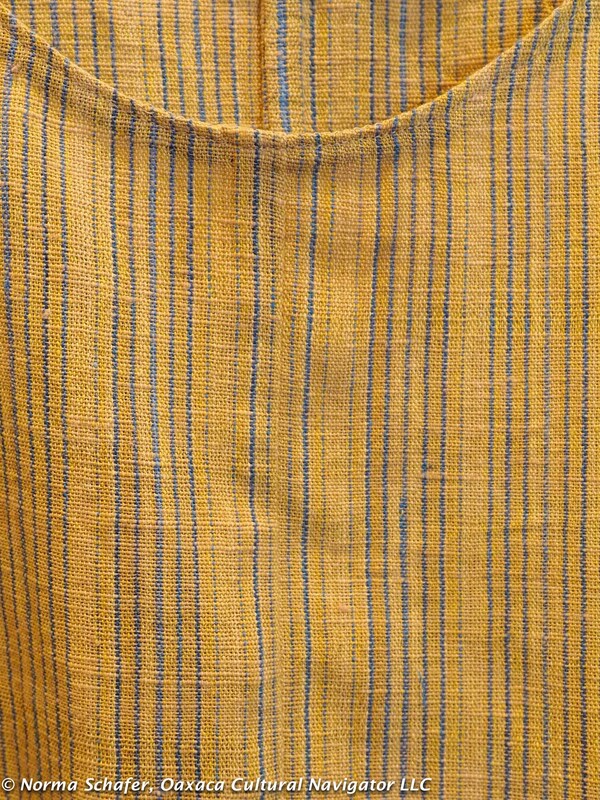 Can I order this fabric and/or dresses made from it from Oaxaca? I have relocated to San Diego CA from Connecticut, and the weight of this fabric is perfect for the climate. I’ve spent time in Oaxaca over the past 25 years and adore everything there. This is amazing! Great design and the fabric speaks quietly for itself. I never write to you but want to say today a huge GRACIAS for all the interesting letters and articles you write, with so interesting pictures. A question about this material. Would love to buy some and make myself a dress too when I go back to Canada in April. 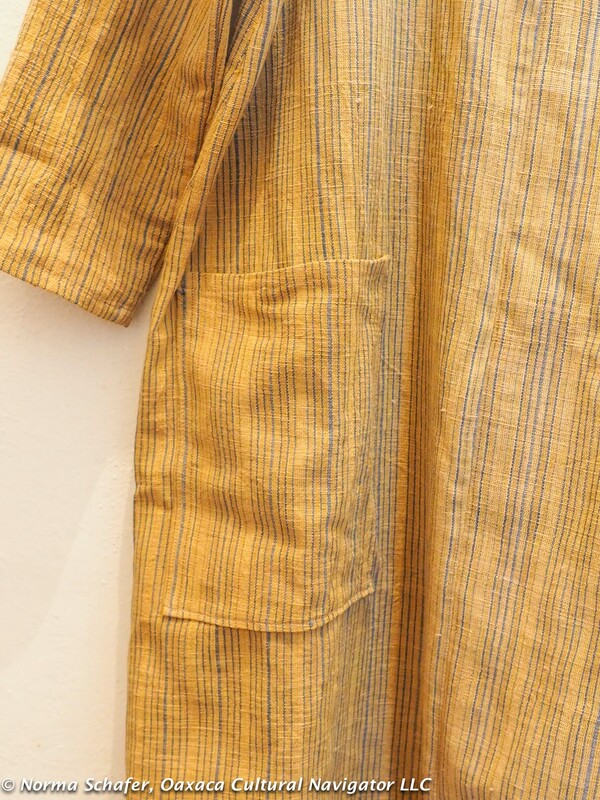 Can you tell me if they sell this material by meter at The Museo de textil? P.P.S. Send me a photo if you end up sewing up some of their cloth! What beautiful material! I’ll be in Oaxaca in October for Dia de Los Muertos (showing friends around who have never been there) and I’d love to know if there will be a way to find this material in the city. And by the way – I made reservations with Reyna for a cooking class! Will you be there at that time?